Found another 1955 today.The guy bought it from the original owners estate sale. It is totally original down to the 8 by 24 firestone tires. The tragedy is he painted it. This would have been a perfect cub to have with original paint but some folks don't know that. 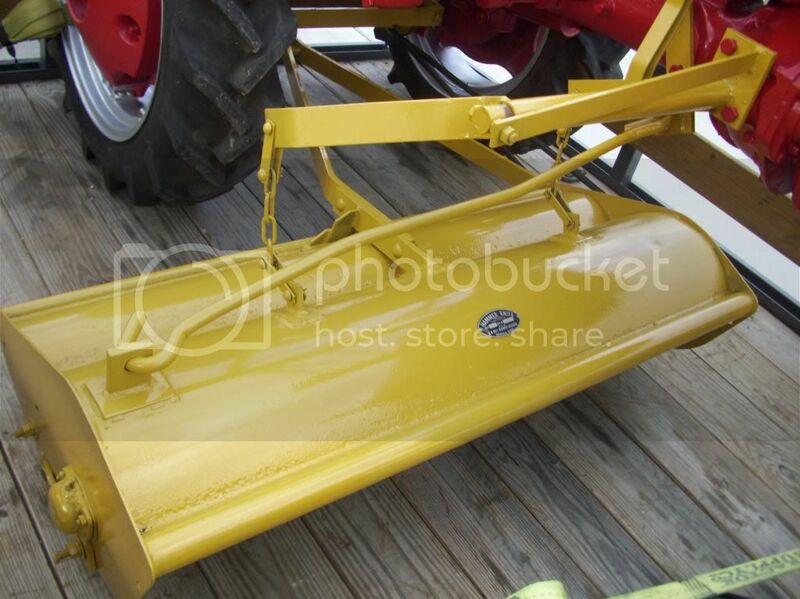 Got a really nice Mott flail mower. Nice to have the history of the li'l guy for once. He said owner never ever left it sit out and it shows. Nice cub! They probably painted it for the sale. Doesn't look like much run time since painted because the manifold hasn't turned color yet from the heat. Thats a nice find Bear! 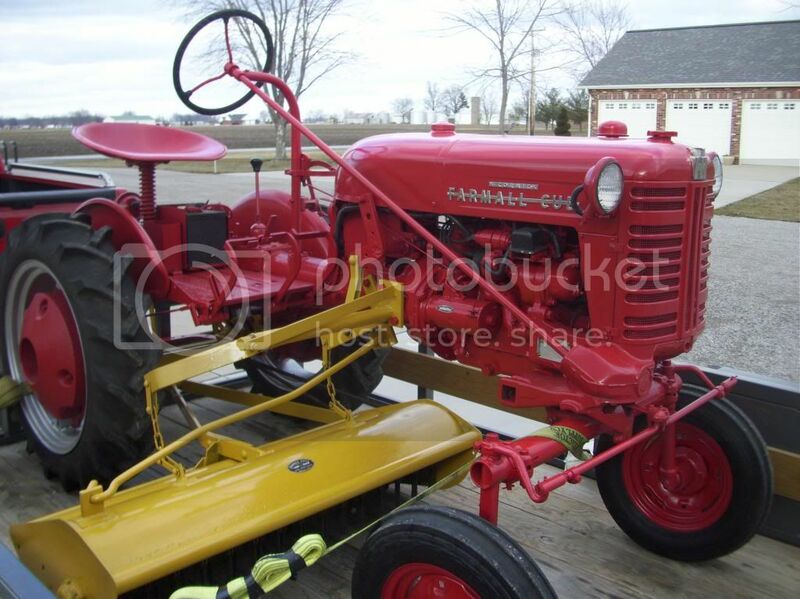 WOW...Thats a nice tractor and mower!!! 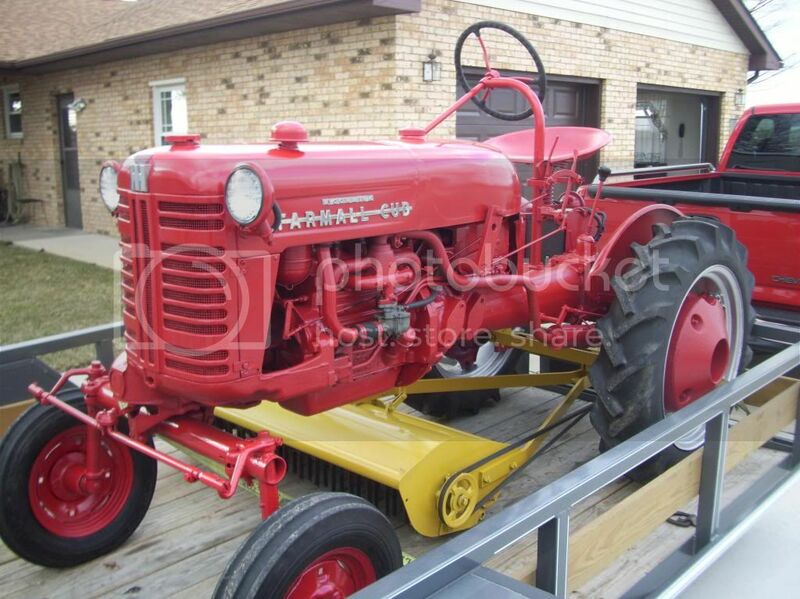 I would be proud to own a tractor that clean. Good find!! Nice outfit Bear. I presume it's not your missing serial #. Very glad things worked out better than you thought Bear guy. I wanted you to get a basket case so I could come out for a lend a hand visit this summer. Looks good Bear. And the no-holes hood to boot. I looked at a december 1954 cub and it didnt have holes either so they must have started early.This is a January cub i assume because its 600 into the 1955 year.Yogie you come out to visit again this summer for a few days and ill keep ya busy again.Theres alot more places to see and few more places to eat.